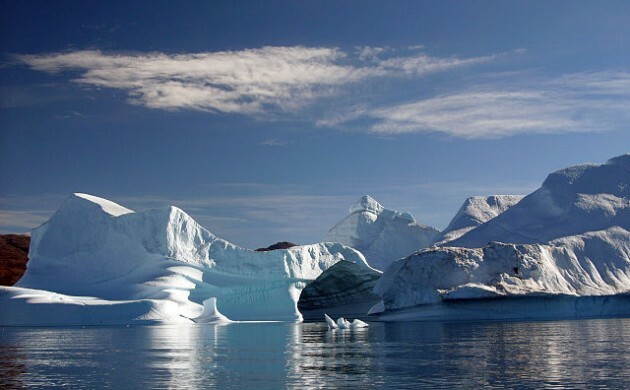 The enormous quantities of water pouring from the melting Greenlandic ice sheets are causes may actually be causing the earth to wobble more on its axis and the poles to shift. Along with the changes in mass at the poles, when the extra water evaporates from the oceans, a large part of it falls over the mainland, where it is collected in lakes and underground. Scientists have long known that Earth wobbles as it rotates, causing the poles to drift slightly. However, a dramatic shift occurred around the year 2000, when the North Pole turned east. “If a pole loses enough mass, the Earth’s spin axis changes,” John Ries, a geophysicist at the University of Texas told Scientific American. Ries and a colleague were among the first to point to the changes in gravity and rotation in 2013. The shifting axis might add to the effects of climate change, causing global temperatures to continue to increase, weather to be more extreme and sea levels to rise. While the findings have surprised some, the effect on human beings at this time is relatively small. But scientists agree that this is a unique example of the tremendous impact that human beings can have on the climate.